There isn’t much that could depict the true agony of an eating disorder, whether that is anorexia, bulimia, binge eating disorder and so on. Especially as eating disorders and mental health do not discriminate, they can affect ANYONE at any age, male or female. In this case the protagonist, Imo is stereotypically a white young female. 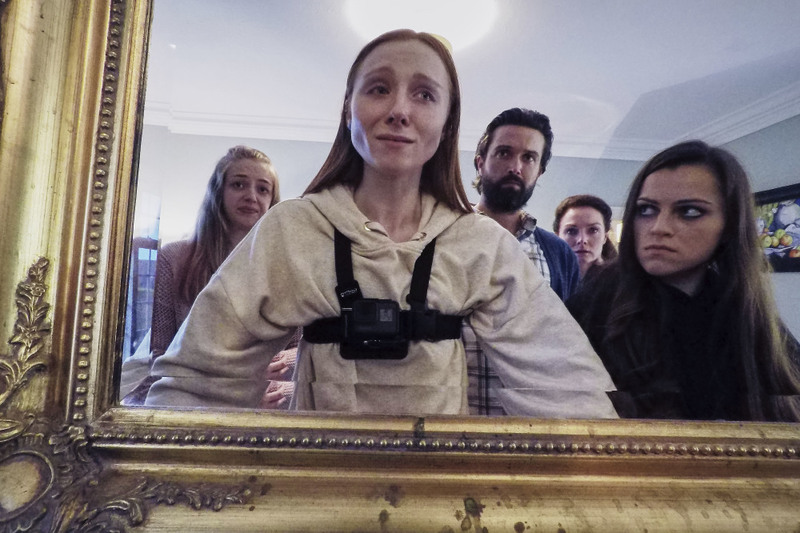 Despite this, the drama does tap into the fact that anorexia is very much like having another voice inside your head, a person outside of your own body controlling your every waking thought and move. Some may say it’s like your worst best friend. It starts out by being there for you, comforting and supporting you when you feel like you need someone or something to rely on, but sooner or later it has you on constant self-destruct mode, running your health into the ground until all you are fixated upon is numbers and control. In my opinion as a professional and recovered anorexic, Eva O Connor, whom herself suffered, managed to portray a close to realistic interpretation and it is important that she did not get the actress to lose weight for this role. Anorexia may start by trickling into your life through a diet regime, or exercise pattern, but sooner or later in manifests and takes over every inch of your life, from your friendships and relationships to your work and/or school life. You WILL NOT be able to live a happy life, a normal life in the grips of this eating disorder and Eva O Connor shows this deterioration well of Imo’s life and mental state well. I was also impressed with Eva’s commentary on the millennial world of vlogging, and how for some people social media can cause a very negative impact on their mental wellbeing and health. Imo, the protagonist becomes obsessed with revealing every inch of her private life, she even receives hateful commentary along the way, but it is not until she is hospitalised that she realises this is one thing keeping her stuck in the eating disorder. Anorexia can feel like a type of possession, that’s why the character Imo, is so unaware that there is anything wrong for so long, because you cannot see yourself become enthralled in this highly dangerous disease. I would say, all in all if you are suffering then the content will be distressing and potentially trigger some unwanted thoughts and beliefs. For professionals or those seeking to understand eating disorders, this is a just representation of living with the mental illness that proceeds to have the highest mortality rate of all mental illnesses. Phelan Well is about achieving a healthy mind and body which together makes for a healthier you. Restore a healthy relationship with food & body image.